Children Are Unique – Make Yours A Star! Make reading fun with our individualized collection of over 40 books including child’s name, age, hometown, and friend’s names. Some of the names of the books are; Little One, Little One, Ballerina Princess, My Christmas Wish, My Tea Party, and Train With No Name. 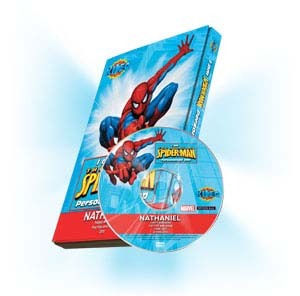 We also showcase an array of music CD’s offering thousands of names to choose from. All relating to: Celebration and Encouragement , Holiday , Play Time, Popular Characters, Religious, and Sports. A few of the names here are; Disney Princesses, Mickey, Minnie & Goofy sing-a-long, Elmo, Barney, and You are my Friend. 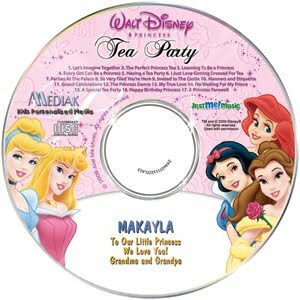 Also our personalized music DVD and photo personalized DVD collections are sure to please, and just to name a few include; Silly Songs with Veggie Tales, Dora, Diego & Me, Dora the Explorer Who’s Birthday Is It, My Christmas Adventure, and My Party With Barney. Make JustKidsGifts.com your one-stop shop for Christmas gifts for all the kids on your list this year! JustKidsGifts.com also has a passion for working with fundraising groups and charities. Daycare centers, cub scouts, brownies, and church groups are just a few of the many fundraiser and charity organizations they love to work with that need to raise money. Subscribe TODAY for the best deals and coupons! You are also welcome to place your order by phone or mail. Find Just Kids Gifts on Facebook and Twitter! As a new Grandmother, I was delighted when I opened my email to an invitation to do a review on a beautiful baby lullaby CD,Midnight Lullaby by Jane Roman Pitt. Kathryn Musilek from “Beautiful Day Media” was kind enough to send me a copy of it and I have to be honest here and tell you that I immediately fell in love with it. The music is so incredibly soothing and comforting. There is an balsamic clarity in Jane’s voice on this record. Crystal clear vocals. The first time I listened to it, tears welled up while thinking of my own grandson. 😉 It is indeed an extraordinarily beautiful CD to have if you have very young children or grandchildren. It actually lulled ME to sleep the night before I had some extremely dreaded dental work done. I was absolutely sure I would NOT sleep that night! I have a habit of listening to music at bedtime (with earphones of course, not to disturb my husband). I wanted to listen to the music one more time in preparation for writing this review. Lo and behold, I popped the CD in and before it was over, I fell asleep and slept the entire night straight through. Just goes to show that it benefits adults as well! This album would be an excellent gift for a baby shower, or for anytime after baby is born. Have a listen to a few lyrics of the songs Here! 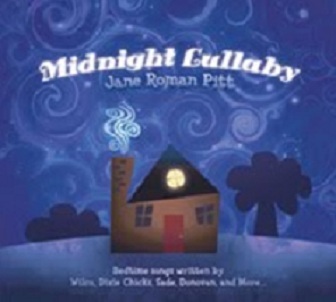 Please Note: – A portion of the proceeds from this CD will be donated to The Mary Benson House, a shelter for pregnant women and their babies in Asheville, North Carolina. Below is Jane’s official website including her Biography. 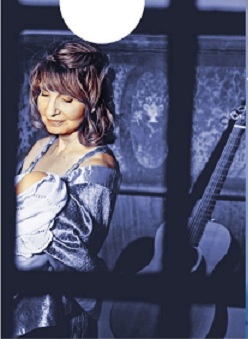 It also showcases other music she has composed and recorded. Jane recently became Grandma to her second grandchild, a baby boy!